WHAT THIS SITE IS NOT? A LATE NIGHT TV SPECIAL THAT TELLS YOU HOW EASY REAL ESTATE INVESTING IS. THIS STUFF TAKES WORK!! 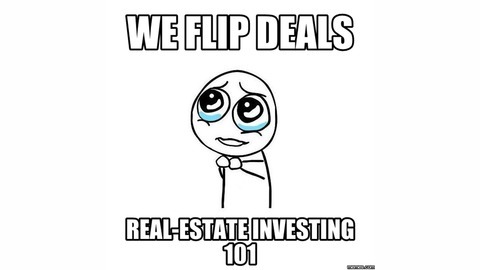 What Is We Flip Deals TV WE FLIP DEALS is a site for experienced, novice, and aspiring investors. We literally show investors how to Find, Evaluate, and Purchase Properties. We have a special place in our heart for the Newbie/Novice investor that is trying their best to figure it out but hasn't’ quite gotten it yet. Why? Because i was in this position not too many years ago. What we have done with this site is condensed and simplified all the various moving pieces that overcomplicate the process for a lot of new investors. 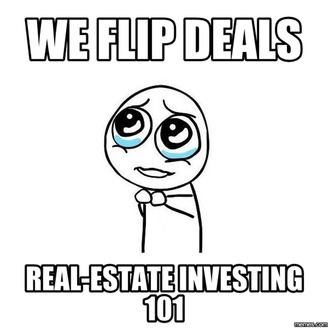 WE FLIPS DEALS literally takes you by the hand and guides you through the actually pertinent information regarding real estate investing. Some of these things include Training on how to talk to sellers Leads How to market for seller and buyers leads via direct mail, ppc ads, How to run comps the right way no more ARV*.65%-Repairs= Offer.